Resource > DVD > How to Rip a CD with Windows Media Player? Summary: Windows Media Player is not only a basic player but also a CD ripper to rip and burn audio CDs. Here we will show you how to rip a CD with Windows Media Player. Many Windows 10 users consider Windows Media Player as a basic player only. They think Windows Media Player is just limited to playing audio and video files only. But actually Windows Media Player can do a lot more than that. The hidden feature of WMP that many people aren’t aware of is its capability to rip and burn audio CDs. Audio CDs come in a WAV or AIFF format that is a smaller format designed to work with audio CD players. You can directly play these CDs on Windows Media Player without using a special codec. If you have a collection of audio CDs then you may want to store the CD music on your computer’s hard drive. This process is simply known as ripping and we will teach you to rip an audio CD in Windows Media player in this article. This tutorial will show you how can you rip audio CDs to other formats like MP3 using the WMP 12, WMP 11 and WMP 10. So, let's start with Windows Media Player 12. · The first step you have to take is to choose the output audio format that WMP 12 will rip your audio CD in. · To select the output format first open WMP12 and click ‘Tools>Options’. If the menu bar isn’t visible click ‘CTRL + M’ to make it visible. · Now click the ‘Rip Music’ tab and select the location where you want to save your audio CD rip. · Under ‘Format’ select the output audio format like MP3, WMA, WMA Pro, ALAC (Lossless), FLAC (Lossless), WAV (Lossless) etc. · Under ‘Audio quality’ drag the slider from smallest size to largest size which is from 128 Kbps to 320 Kbps. Click ‘Apply’ and then ‘OK’. · Now after making these changes you just have to insert an Audio CD into the optical drive. An option will appear in WMP12 as ‘Rip CD’. · You will be asked to select multiple songs. You can uncheck those songs that you don’t want to rip. · Start the Windows media player rip CD process and after a few minutes check the output folder. All songs will be copied there. · Insert the audio CD in the optical drive and open WMP11. · On the left pane, you’ll see the audio disc. · Right click on the CD icon and select ‘Rip CD to library’. · The songs will be added to your library. · Easy to use and totally free. · Has options to select the output audio format. Also has lossless audio formats. · Allows you to change the audio bit-rate from 128 Kbps to 320 Kbps. The above tutorial is good for audio CD ripping but one thing I should make clear here that Windows media player has not got any official support for playing and ripping DVDs. If you are looking for ripping DVDs then forget Windows media player completely. For the purpose of DVD ripping, you’ll need a powerful DVD ripping solution such as DVDFab DVD Ripper. With the DVD ripper you can rip and convert your DVDs to high definition formats also. Since DVD is not suitable for high definition entertainment. But the DVDFab DVD ripper employs a 1 to 1 lossless ratio which converts your DVD movies and makes them suitable for watching on larger and HD screens. You can also edit your DVD movies with the inbuilt video editor. The inbuilt video editor provides features like crop, trim (multiple trims), watermark, and rotate. All the common video formats like AVI, MP4, MKV, FLV, WMV etc. are fully supported. It is up to you which format you select. It is always better to rip your DVDs and store them on a hard drive. This way you’ll save your money and don’t need to buy that DVD again if it goes bad. Anytime if you want to test this software you can download and install it and use it free for first 30-days. So you just saw how easy it was to rip an audio CD using the Windows media player. We taught you to rip audio CDs either on WMP12, 11, or even 10. If you are using Windows 10 then you will only have to deal with WMP12. Now, whenever you want to rip audio CDs and make an audio library then consider Windows media player only. It’s a free powerful audio CD ripper for Windows 10, Windows 7, or Windows 8. Secondly, if you are willing to rip DVDs then you can try DVDFab DVD Ripper. 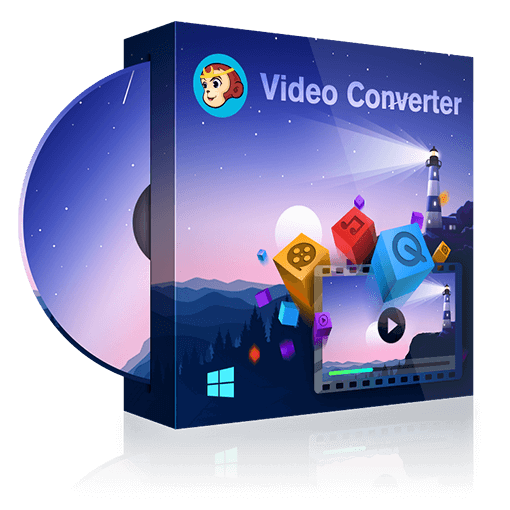 It is a nice software with a built-in video editor, video format pre-built profiles, and faster conversion. With this software, you can rip DVDs and make your own video library that can be stored on an external storage. If you love watching DVD movies you may need a professional DVD player for Windows 10. Considering this, this article lists the top 10 best DVD players for Windows 10 for your reference. Here are some of the best MP4 to DVD burners in the market. Decide which one best suits your need and use it to burn MP4 to DVD.